HOUSEography: Come on over... (take 2!)... and highlights from the Kitchen party! Come on over... (take 2!)... and highlights from the Kitchen party! Since Blogger was a mess last week, we're trying again this week! 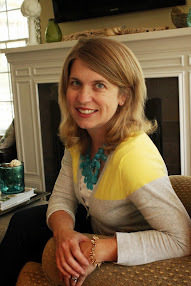 Kristin will be featuring my blog today over at My Uncommon Slice of Suburbia! Thanks for the feature, Kristin! Now for some highlights from last week's HOUSeography kitchen tour link-up party! 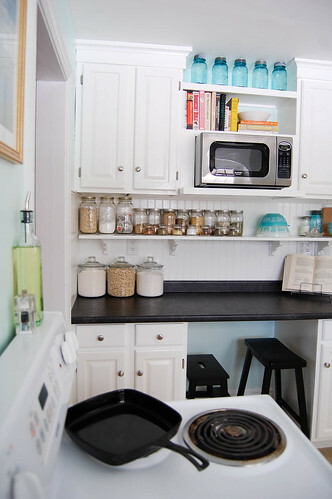 Love the turquoise lower cabinets and the great open shelving on the top in this recycled kitchen (you have to check out the before pictures here). Love this black and white kitchen (after my own heart!) and great pantry! And this island... need I say more? Thanks to everyone who linked up! Don't forget to link up your living room to this week's party (check it out here). If you were featured this week or any week, grab my button. And, please take one second to vote for HOUSEography on Picket Fence Blogs by clicking here (and that's it!). p.s. Find me on Pinterest here.